Regarded as the premier entertainment facility in the city, The Q is spacious, light and elegant and provides an outstanding program of professional and amateur productions, changing art exhibitions and displays for your enjoyment. 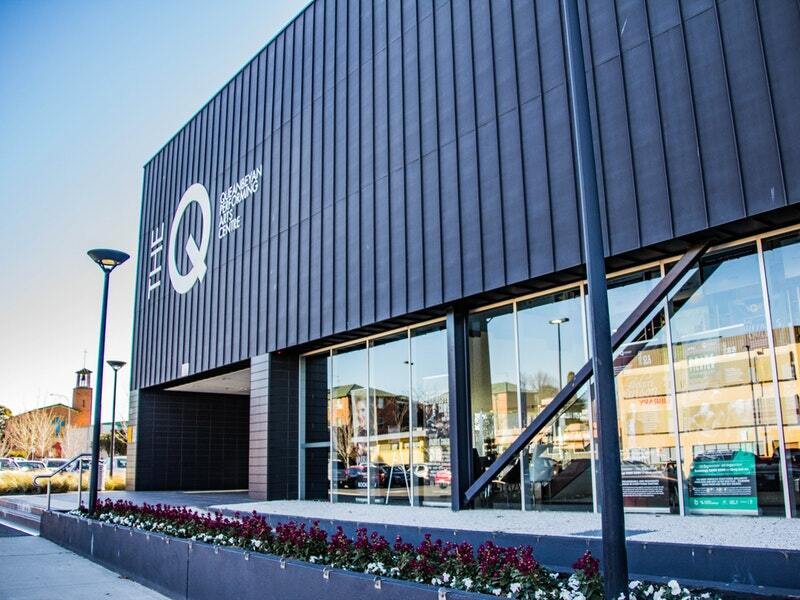 The prestigious and quality facilities of ‘The Q’ – Queanbeyan Performing Arts Centre provide a range of unique spaces for performing and visual arts, social occasions and corporate events. Experienced staff are on hand to assist with all your requirements. Whether it is a touring or local production, art exhibition, large scale gala opening night party, a wedding or a corporate evening of entertainment, you’ll find the ideal venue and service at ‘The Q’ – Queanbeyan Performing Arts Centre.